"In an age once more in search of the big picture, Adorno's lecture course on 'History and Freedom' reminds us again of the astonishing contemporaneity of his thought. Combining dialectical agility with a refreshing candour and directness, these lectures represent a major thinker’s most open engagement with the meaning of human history, and the disastrous ambiguity of progress." A new volume from one of the most influential thinkers of the twentieth century. 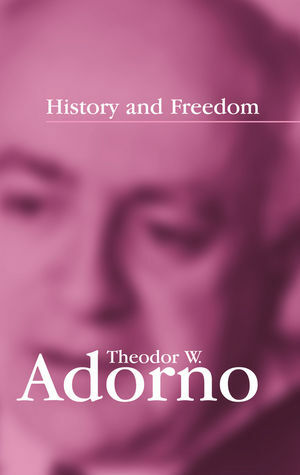 This important book gives the reader an overview of all the themes and motifs of Adorno’s philosophy of history. Includes Adorno’s critique of the Existentialist concept of “historicity”. Includes Adorno’s writings on theories of truth, and his criticism and opposition to the traditional idea of truth as something permanent, unchanging and ahistorical.